Getting out of the house is an important part of staying engaged in life. With advance planning, you can visit family, meet up with a friend, or go to a movie. Finding the right transportation that works for you is the key. Transportation service options can vary depending on where you live. Call ahead to explain your needs and to ask questions. How It Works: Complete the application form once to get approved. Then contact the chapter at least 14 days prior to each appointment to schedule transportation and confirm details. Payment: If you are approved, this is a free service. The transportation agency will bill the ALS Association directly. It is highly recommended—and may even be required—that a caregiver (but no more than one) travel with you. If you are in a wheelchair, the driver will load and secure you for safe travel. However, the driver is not required to assist in transferring you in and out of the wheelchair or to provide any personal care. You do not need to tip the driver. This service does cost more than a cab or public transportation. Call or email to get a quote for your specific route. AVTS recommends scheduling rides 72 hours in advance, though same-day pickups are possible, depending on van availability. All vans are air-conditioned and equipped with power lifts for manual and power wheelchairs, scooters, and individuals who cannot use the stairs. This is for non-emergency transportation only. You may tip the driver if you wish. How It Works: Schedule 24 hours in advance. Credit cards and cash are accepted. You can purchase reloadable gift cards. You can estimate cost by using the fare calculator on their website. Discount Cab was founded in Phoenix in 1984 and certifies its drivers to provide wheelchair-accommodating transportation. Taking a cab will be less expensive than using other private transportation companies, but you may need to wait longer and be more flexible. Be sure to request a wheelchair-accessible van if you need one. Cab drivers tend to expect tips. ​Eligibility: Anyone unable to independently use Valley Metro buses and light rail for at least some trips due to a disability or disabling health condition. You will need to apply and be accepted first. Fill out the short Valley Metro ADA Paratransit Application or call (602) 716-2100 and press 1. Then you will be asked to visit the Valley Metro Mobility Center at 4600 E. Washington Street in Phoenix for an in-person eligibility assessment. Learn more about the process. How It Works: Dial-a-Ride is a shared-ride service, so the driver may pick up or drop off other people during your ride. You will be given a 30-minute window for your pickup time. You should be ready to board immediately. You can request additional assistance ahead of time. The driver can go to your door but cannot enter your home. If you do not show up within five minutes of arrival, the driver will leave and you will be charged for the trip. In most cases, you can travel within a Dial-a-Ride service area without transferring to another van or bus. However, if your final destination is in another service area, you may have to transfer to another Dial-a-Ride vehicle serving that area. Call ahead to check. Exact change is required, so ask for the fare amount when booking your trip. Fares are typically under $5 and vary by service area. Learn more about fares. You do not need to tip the driver. In fact, it is discouraged. You can also save money on regular local bus routes and light rail by applying for the Reduced Fare Program. Light rail and buses are handicap accessible and can accommodate power wheelchairs. How It Works: Complete an East Valley RideChoice Application. Once you are enrolled, add money to your fare card either online or by mail. You can then contact participating cab providers directly and swipe your card. Payment: Through this program, you will receive a discount of 70% to 75% on your fares. Service is available 24 hours a day, 7 days a week, 365 days a year. You can add value to your card online or call (866) 715-8960 and press 1. 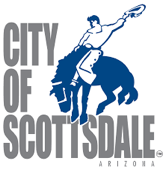 ​Eligibility: Scottsdale residents who are seniors or certified as disabled through the ADA Dial-a-Ride. How It Works: Apply here. Once enrolled, you will receive a number of vouchers per month for an 80% discount on each one-way trip (up to $10 per trip). Simply schedule your ride, hand the driver your voucher, and then pay the remainder of the cost. Acceptable methods of payment are cash, East Valley/Northwest Valley Dial-a-Ride tickets, and Regional Dial-a-Ride tickets. If you would like to take occasional local or regional trips that are not well served by ride services, you may want to consider renting a van from time to time. How It Works: This is just like renting a car, which gives you the freedom to go on vacation, explore a new city, or spend a weekend away. The Ability Center does not provide a driver, so you will need a licensed driver in your party. Rates include 100 free miles per day. Additional miles cost 25 cents per mile. Drivers must be at least 21 years of age and hold a valid driver’s license, proof of insurance with full coverage transferable to a rental car company, and a valid credit card. You must have full auto insurance coverage (property damage and liability). If you have insurance already, call to find out what your rental car insurance coverage is. If you do not, you may be able to purchase temporary coverage by the day. If you have a credit card and pay with it, property damage to the rental vehicle may be covered. Inquire with your credit card company. How It Works: This is just like renting a car, which gives you the freedom to go on vacation, explore a new city, or just spend a weekend away. Wheelchair Getaways does not provide a driver, so you will need a licensed driver in your party. Payment: Daily rental rates range from $80 to $145, with lower rates for long-term rentals. Rates include 100 free miles per day. Additional miles cost 35 cents per mile. Drivers must be at least 23 years of age and hold a valid driver’s license, proof of insurance with full coverage transferable to a rental car company, and a valid credit card. Below we have listed some places you may be able to find used vans in Metro Phoenix. But first, be sure to learn more about purchasing used vans. The ALS Association Arizona Chapter is the best place to start. Tell them what you want. Ask for leads and ideas. The Arizona Assistive Technology Exchange (ATEX) lists vans and vehicle lifts that are for sale in Arizona. Phone: (602) 728-9534. Craigslist Phoenix lists many different types of goods, including handicap-accessible vans. Type “handicap vans” in the search box. If you find a good van, contact the seller and be prepared to move quickly. The Ability Center Phoenix sells new and used mobility ramp vans from some of the largest and best manufacturers in the U.S. This company is dedicated to supporting ALS families. Phone: (623) 879-0800. Note: The Arizona Loans for Assistive Technology (AZLAT) has a financing program designed to assist individuals with disabilities (or others on their behalf) to borrow money at affordable rates for the purchase of vans or lifts. Call (602) 728-9534 for more information.